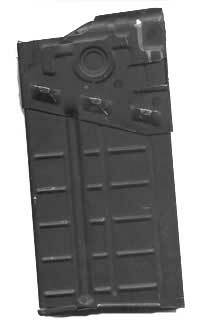 These Aluminum G-3 20 round magazines were introduced in the 1950's as the 7.62x51 NATO G3 battle rifles began to be manufactured. There may be some new mixed in, however the used ones are in exceptionally good condition. Most are stamped H&K. These magazines will fit your standard G3 type rifles. All Mags are UNAVAILABLE for export outside the USA. And any other areas where capacity is restricted** We will remove items from your order before shipping.